So we know why Regina is here, we know why Henry is here and we know why Killian is there. 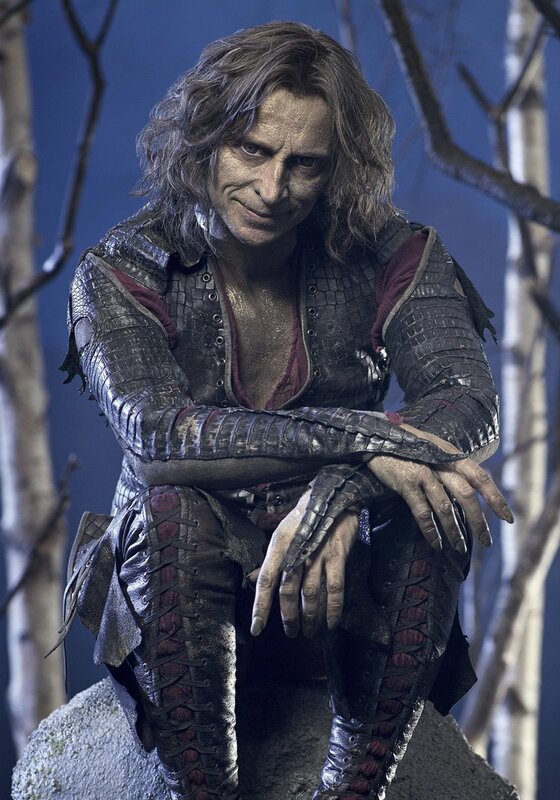 But we also have Rumple running around confusing everyone - so why is the Dark One here? Perhaps giving us a tiny clue of why this matters we have Rumple struggling with normal life milestones like Gideon going off to college: it could be, like Emma and Regina, not being ready to see Henry go. Or it could be that an unaging immortal does not feel the passing - or the progress of time in the same way as a mortal does. Belle, aging in each scene, tells Rumple she’s found a fairy prophecy with various clues which leads them to the end of realms, with a sun which apparently takes forever to set. The prophecy suggests that when the sun sets Rumple will have the key to mortality. They decide to move their and live a drearily boring blissfully pastoral life together waiting for the sun to set. Belle, an old woman, falls and while Rumple begs to use magic to save her, she says it’s time. And she lied about that prophecy - the sun setting means she will die, the sun of his life. And she’s confident he will pass on the dagger to the proper Guardian and return to her. I’m assuming an afterlife or resurrection is involved her and not her preserved body propped up the front room. Though, in all honesty, this scene is powerful and beautiful and tragic. 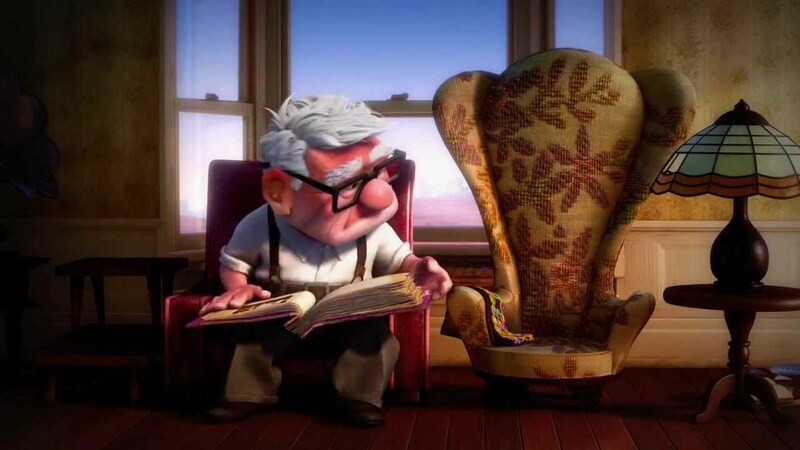 Maybe it doesn’t have the same impact as Up (thankfully because I don’t think anyone was expecting a Pixar movie to emotionally maul them in the opening scene) but the acting is deeply heart rending. 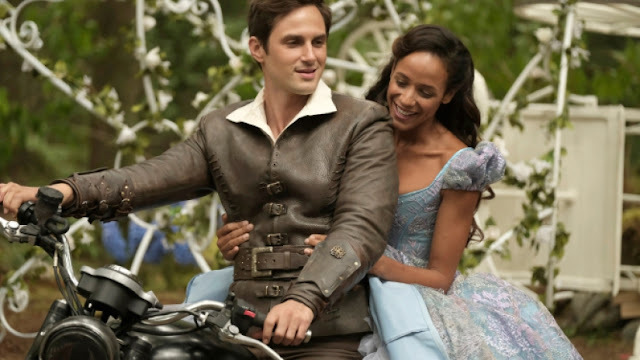 Rumple travels to find this Guardian and ends up running into Alice, as in Alice in Wonderland, and Henry on a motorcycle. So to the present and Hyperion heights where Rumple - or Weaver, who clearly has none of his memories - talks to one of his informants: Tilly, Hyperion Heights Alice. And she is random, cryptic, chaotic and nearly incomprehensible. But she still has nifty quips about puzzles and memories and mysteries and everyone wearing masks. She wears a white rabbit mask as well, of course (it’s hallowe’en). Also note she makes a passing reference to an ex-girlfriend. And I have to say my faith in fandom is somewhat redeemed by NO-ONE making a fuss about this. Possibly because it’s so damn brief no-one noticed or the death of Belle was so dramatic and painful; but I like to think that maybe one off blink-if-you-miss-it mentions are more due an eyebrow lift than a cheer parade. If there was any proof that Weaver doesn’t have his memories, it’s the fact that a) he did nefarious deeds on camera b) he didn’t realise Victoria has as much to lose as he does. So coerced he goes looking for Tilly, recruiting Killian to help. Killian pokes Weaver about whether he cares about Tilly or not and Killian snarls all grumpy like. Victoria drops into the hospital room to remind him of her threats against him. He tells her he remembers quite clearly; Dearie. Now we have a narrative problem. See, I can see Regina, Zelena and Cora manage to hold their own to a degree against Rumplestiltskin. Victoria? Step down Vicky, this is gonna hurt. Time to catch up with our heroes. Henry drops in on Roni all grief stricken about finding his family’s grave. She offers comfort, advice and a pep talk to get out there and take some risks with his future. And get on with Jacinda. Jacinda has her own issues - she wants to give a hallowe’en costume to Lucy but out of pure spite, Victoria’s not even letting her see her child (again, I want to know what Jacinda did that Victoria gained this level of custody power?) and instead is forcing Ivy (evil step-sister) to take Lucy trick-or-treating instead: despite the fact Ivy would rather gnaw off her own leg. Paying barely no attention to her, Lucy escapes her to run off on her own (switching spaces with a girl dressed as Elsa. Which is so very meta). Leaving Ivy panicky and going to see Jacinda working in the chicken shop to see if Lucy’s gone there: Lucy hasn’t but Henry has trying to flirt. ...this could be an awkward love triangle. Please don’t. But do develop Ivy - if we can examine this form of abuse, how she’s socially isolated and Victoria uses that to control her - that is abusive and it’s good to see this often more subtle and less noticed form of abuse. This is something to explore.